The surface of Forget-Me-Not Lake was as smooth as glass. It reflected the colorful morning sky like a mirror. 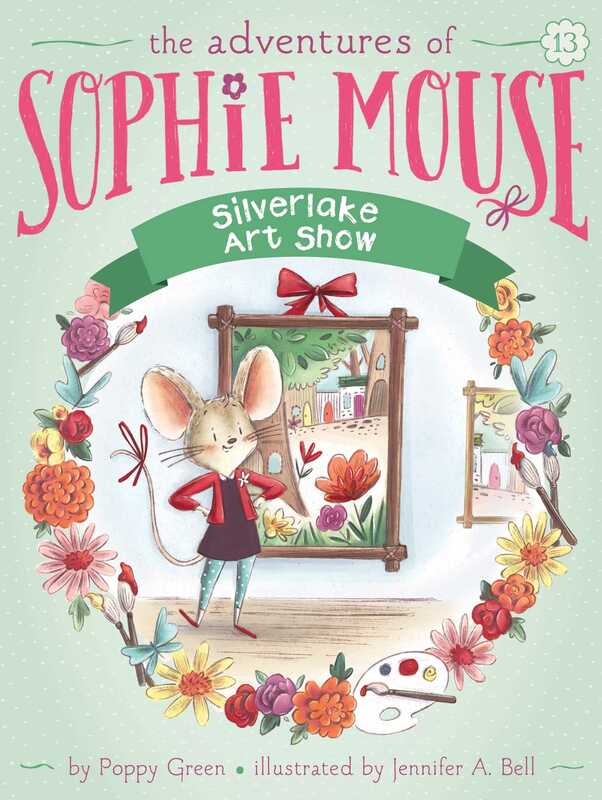 Sophie Mouse dipped her brush into the gray-blue paint. She touched it to the canvas. It was her first brushstroke of the day. There was nothing to distract her. No breeze ruffled the water or the wildflowers. No other animals were about. It was still early. Soon water birds might show up to splash and play. And before long, Sophie’s friends Hattie Frog and Owen Snake would arrive. The day before, they had made plans to meet for rafting and swimming. Sophie had come early to paint in the peace and quiet. She lost track of time as she studied each part of the landscape: the different shades of yellow in the sky, the shapes of the shadows in the marsh grass, the glints of sunlight on the water. Sophie mixed a dozen different colors. She painted the background first, then the foreground. Then she worked on filling in details. At one point, she stepped back from the canvas to look at her work. “Hmm, maybe too much yellow?” Sophie asked herself aloud. “I don’t think so,” someone suddenly replied. Sophie jumped and whirled around. It was Hattie, with Owen at her side. “Sorry! Did I startle you?” Hattie asked.